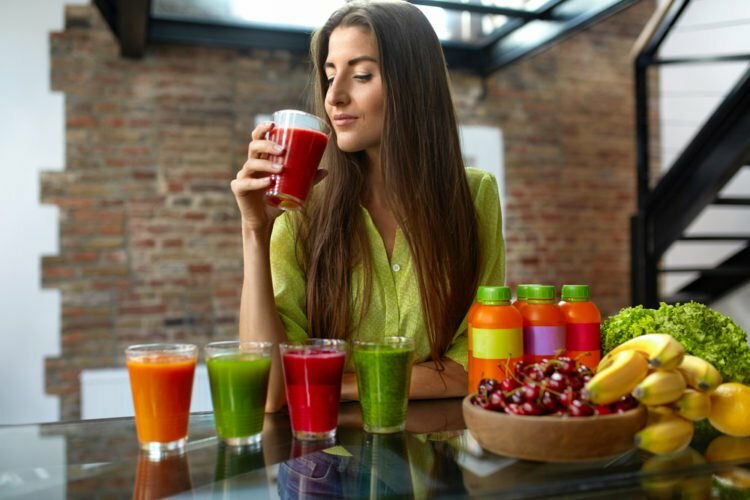 Juicing isn’t new at all a new phenomenon, but health professionals are now taking this simple process to a whole new level. As the nutritional value of food has dwindled over the years, we have turned to supplements to ensure that our body gets what it needs. But we can’t live on handfuls of pills alone. Starting each day with a delicious cellular boosting juice may well revolutionize your diet – and your world. Green leafy vegetables and grasses are cleansing and alkalizing to the body. By juicing them, you help to balance your pH level and keep your body in optimum health. They may also lower heart failure risk. Click here to find out more about this. Freshly extracted juices are the best source of live enzymes, which are essential for the assimilation of nutrients. 3. Nutrients, vitamins and minerals. Vegetable juices provide your body with a high concentration of absorbable chlorophyll, amino acids, minerals, vitamins and phytonutrients. 4. Easier to digest and absorb. Juicing takes the strain off the digestive system. By extracting the juice from the fibre and opening the cellulose capsule, the nutrients are more readily available for easy absorption. Alkalizing green foods help to rebalance the body after years of eating nutritionally deficient food. Juicing provides a simple and effective way to get maximum alkalizing goodness into the body. The planet is over 70% water, and so is our body. Our blood consists of around 94% water. Foods in their natural and raw state have a high water content. By drinking these mineral and water-rich juices, we can ensure proper hydration. Green juice provides the body with huge amounts of antioxidants. Antioxidants fortify our immune system and stop our body from rusting from the inside out. 8. Delivers oxygen to your cells. When the body is acidic, the red blood cells clump together and oxygen cannot get to all of the cells. Juicing alkalizes the blood so that the red blood cells can flow freely again, and deliver oxygen to each and every cell in your body. When your body is charged with oxygen, your mind is clear and sharp, and you feel energized. It is no coincidence that strong therapeutic green vegetable, sprout and grass juices form the cornerstone of many successful disease-prevention centers and clinics around the world (eg the Hippocrates Institute, Boston). The magnesium and chlorophyll in green juices soothe and calm the nervous system, and minimize stress in the body. In recent research, chlorophyll was found to be an interceptor molecule that reduces absorption of ingested carcinogens in the gut, as shown in a 2006 paper published in the journal Nutrition Research. Chlorophyll also protects the human lymphocyte DNA and enhances its ability to resist oxidative damage, according to a 2005 paper published in the Journal of Agriculture and Food Chemistry. For a recipe on a great green juice, click on the following link.